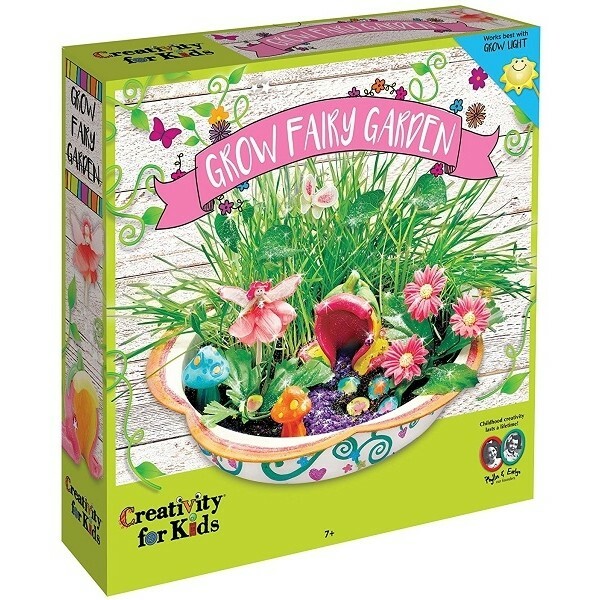 Create and grow your own magical miniature fairy land with this kit from Faber and Castell's Creativity for Kids line! 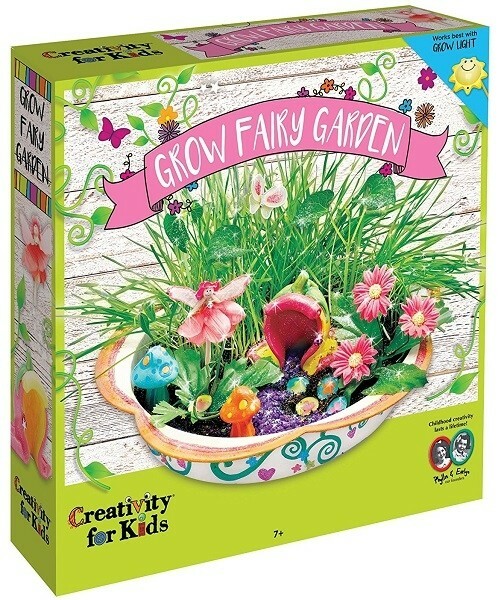 Plant the seeds and beans; water; and fairy Hannah will help from there! 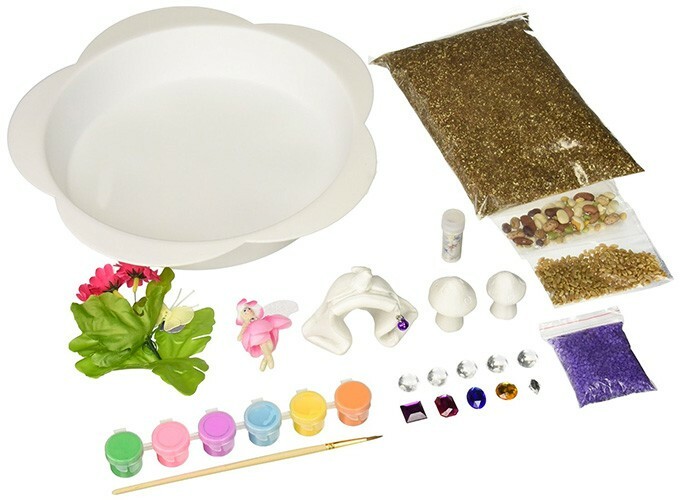 This package contains an 11 inch fairy garden dish; flower fairy Hannah; resin fairy house; two resin toadstools; sparkling gems; glittery pixie dust; two tulle butterflies; glass opti-stones; purple gravel; seeds (wheatgrass and bean mixture); potting soil; a fine tipped paint brush; six acrylic paints; and illustrated instructions with lots of ideas. 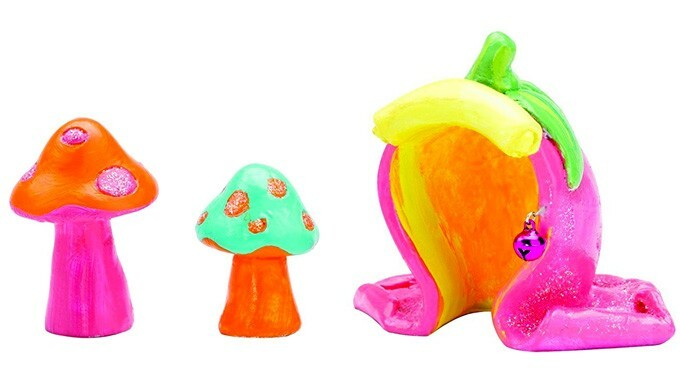 For more fun craft kids for kids, check out our Arts / Crafts Collection.